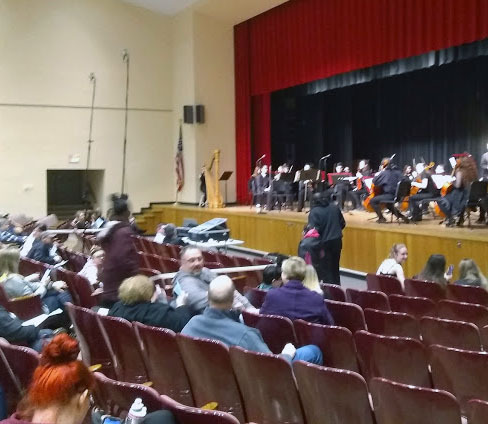 IHS Choral, and String programs put on a combined concert. Their act was followed by a stunning performance by IHS Men’s Chorus, which featured IHS seniors Parker Koons, Nick Skalican, Brandon Gunsallus, and Andrew Carr. Their repertoire included songs from many famous musicals. These musicals were included (but not limited to) Les Miserables, Fiddler on the Roof, and Guys and Dolls. After the performance by the Men’s Chorus, a group called “Violins and a Heart,” put on a piece called Hotaka Sunset. It was a small string group featuring violinists Abby Killam, Jin Rui Huang, and Miracle Ylonfoun. After the performance by the string trio, the IHS women’s chorus charmed the crowd with some song and rap, performing “My Shot” from the recently popular musical Hamilton, and ending with a song called “You Will Be Found” from Dear Evan Hansen. Following the women’s singing group, was another smaller chamber group called “More Strings Attached,” who performed a piece called In the Company of Angels. This group was larger, and featured around ten of the best and brightest string players in the IHS Orchestra. The final group that performed was the IHS ACapella Choir. They sang four pieces, with some very interesting ideas. Director Scott Salser had a sort of narrative he jokingly mentioned that existed in his songs. “The show sort of details all of the stages we go through in life, with The Glorious Music of Life, followed by When I Fall In Love, where you do just that. Next, you have The Argument, and after that The Epitaph, when you, you know, die.” The group featured one soloist, Amanda Iandiorio, on the song When I Fall In Love. “I thought it went very well. I thought everyone did pretty good and I really liked the orchestral performance. It was epic,” remarked freshman Carson Midkiff, who performed in two of the groups. Photo caption: The IHS orchestra gets ready to perform their winter concert. 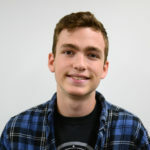 Jacob is a senior and a first year reporter for the High Arrow. He joined journalism to use as a creative outlet and as a way to challenge himself and improve his writing.